Let’s learn a grey Hat Technique today. Yes, you heard it right! Web 2.0 links come with a risk(only if done incorrectly). You must be thinking why should we go ahead to learn it if it’s risk-filled. That too Creating Web 2.0 manually. Why? Although, it’s risky but it is worth giving a chance because this technique gives a brilliant backlink without spending hefty bucks from your pocket. Social network attributes: Users can easily share info with each other. Most web 2.0 websites allow you to construct a network of other users for the goals of sharing the resources you have stored online. User ownership: Users can organize and classify information to fulfill their own needs for example contact forms, images, URLs etc. A rich, interactive, user-friendly interface. It comes with a user friendly approach. You can even guide your 12 year old child to post/edit your stuff on these platforms. Yeah.. Yeah.. I know you must be wondering I am telling you all those already known stuff to you. But guys it’s important to brush up your knowledge before we move on so as to avoid a silly mistake! How Beneficial is a Web 2.0 Backlink? Being a sub-domain, you have to start with “0” Page Authority. However, I trust your SEO skills guys. I know it must be an easy task for you to increase it buy doing good link building. Ignoring Page Authority, we can definitely say we are getting a super quality backlink with a relevant Web 2.0 website. Yes, here comes the word of the day i.e…”Relevant Web 2.0”. I can easily judge that 90% of you must be wondering to employ a bot/ software to submit links automatically to 1000s of web 2.0 sites. But no.. Wait! Let’s discuss it in detail! Don’t forget your 1st tier of links should be of High Quality which deserves a little of your time. You’ll have to make accounts for these web 2.0s, so I recommend making a default e-mail for this purpose. If you use the properties to be created by the same e-mail account it doesn’t matter. A lot.. This is a pretty generic word.. It can range from 10s to 100s to even more. Its better to track your keyword completion first & then decide the number. If you are crazy being a perfectionist, then use proxies(optional but safe) while signing up. Let me explain about it using an example: If your main website is regarding “Religious Books”, then your URLs should comprise a particular key word you’re trying to rank or connected LSI words. You see how these URLs appear natural? If every web 2.0 you make contains “Religious Books” in the URL, then it is bound to look un-natural. You need to avoid that. So the key is to “Diversify” your subdomain. The content you put on your own web 2.0 is the most significant part of the process! There are few different ways that you can approach with the creation of content. Deciding upon the right technique to use depends on time, your capabilities and your resources. Write it on your OWN (Nothing works better than this). Writing exceptional content for Web 2.0 is the absolute best thing to do. Only if you feel you are not that capable to do it, go for outsourcing it. Must use relevant photos with proper alt text and relevant Videos. Again, I used the word relevant images and videos. DO NOT use same image on all articles. Note: Your Web2.0 can also rank if you work seriously on these. So don’t miss the slices of sweet mangoes. If in case you don’t have the right amount of budget you’ll be tempted to go for spinning. I’m going to be frank with you, I don’t use spun content on tier one EVER. I always use self-written or outsourced one. I’m not trying to say that spun post doesn’t work. I simply sleep better at night knowing my content is perfectly readable & worth sharing. If you don’t have any option left other than using spun content then, you must use complex spinning. Not low quality one-click spins. Try to do manual spinning. For automatic spinning I would recommend WordAi and SpinRewriter. These are the best spinners to automate spinning process. I definitely advise against it for your tier one, although there’s nothing wrong with scraping content for Tier- 2 or 3. I’m not saying it won’t work. It’s just a high-risk move if you’re striving to assemble a long-term important site. No matter what type of content creation you choose, you must make certain your posts are more than 800 words. Try to contain your primary key word through the article without keyword stuffing. We desire these properties to appear natural. 1-3% keyword density is more than enough. Paste your article inside the editor for the Web 2.0 you have chosen. Gather all the relevant photos and videos for your post. Just make sure to keep it random. Make one post with 1 image, other with two, next might have 2 videos and so on.. To mix it up, sometimes I won’t even include a picture or video. It’s time for you to insert your links, once you have added your pictures and videos. One link will be for the page you are targeting, and the other be will to a powerful website. Be arbitrary with link placement and use many different kinds of supporting outbound links. And after you’ve a few posts on a single Web 2.0, it’s time to interlink. This gives Web 2.0 even more credibility because it’s linked just like a regular website would. At this point, your post should be fully ready to be posted, but WAIT right there! Before you publish that post we need to discuss filler content. Thought you could just post your article and be all set? Well… you really can, but this is definitely not recommended. You need these links to be long-lasting. Most important, you don’t want them to get deleted. Single-page Web 2.0s have more risk of being deleted. 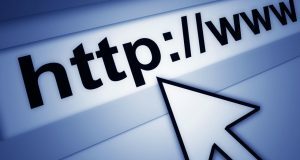 Google will give more weight to a link that’s from a website full of good content. This is when filler content comes in. Filler content will give your web 2.0s the look of an active site. For filler content you’ll be able to use related video posts, scraped articles, pictures, and even arbitrary posts about your life. 5-10 posts per web 2.0 is sufficient, but even 2-3 posts can do the job. Some Web 2.0s permit you to schedule posts and others don’t. I recommend scheduling your posts wherever possible. Make sure to keep your posting frequency random in order to make it look natural. Using Web 2.0 is one of many link building strategies you can use to realize awesome SEO results. Using web 2.0s alone will not help you achieve #1 rankings if your keyword is competitive. You must diversify your link profile with blogger outreach links, company citations, etc. 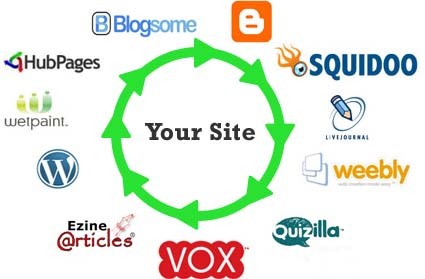 I recommend you to use Web 2.0s to supplement your link building strategy. And remember if someone says that using Web 2.0 is a 2 min strategy, share this post with him since his “2-min SEO strategy will make him Fall in love. In the pool of risk! Lol! Use these tips and have risk free top ranking in Google! Do NOT use same username on all websites. For example some bloggers use makemoneyguide.wordpress.com and makemoneyguide.weebly.com. This is completely a wrong practice. Search engines are getting smarter day by day. Google can easily detect these type of symmetry in your url. Although this is obvious thing but some people still uses the same content on each web2.0. Even I strongly recommend you to use different images and videos. Use different High authority urls in different articles. Many people just post one article on a web2.0 and leave that site. This is the main reason that your blog will get deleted. So post some general content without your website link. It also help to increase page authority of your web2.0 and keep this web2.0 active and indexed. Keep up with our upcoming post on: “How to post on Top Web 2.0 Blog”. 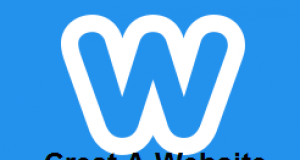 Detailed Guide for each Top Web 2.0 Blog. Please share your web2.0 experience with us by leaving a comment below. If you think I missed something hit a comment and I will add it.